Until recently Iceland has been a country that was too distant in kilometers and mindset to be one of those huddled around the water cooler discussion topics. The allure of Iceland’s beauty, the element of the unknown and fairly recent accessibility has made Iceland one of those ‘bucket list’ destinations that leaves the mind swirling with visions of northern lights, soaring puffins and vast open spaces. Iceland is nothing short of spectacular, but it is far from being a normal, run of the mill form of international travel. I will say this, it is not for the faint of heart, but the experience is what you are prepared to make of it. Temperatures and weather conditions change like the flavor in a twenty- five cents piece of chewing gum. The land is vast, breathtaking and anxiously overwhelming if you are ill prepared. Reliable hiking boots, a rainproof jacket and water resistant paints will pay off much more than an outfit to go clubbing or a posh meal. Iceland is….well, Iceland. With all this in mind, if you make the decision to trek to Iceland it will blow your mind. Boom! Before hopping on a plane, research and make a decision as to what suits your needs best regarding transportation and accommodation. Take into consideration what time of year you will be travelling, that has a huge bearing on what’s practical, accessible and safe. I’m going to delve into a few options that you have for accommodation and transportation and hopefully you can cut and paste to figure out what you would provide the best experience for you. There is the option of biking / camping that is pretty popular in the summer months. I give huge kudos to the dudes we past with their wind resistant gear tackling hills and putting up tents in the middle of literally nowhere. The perks with this is epic exercise, it saves a heap on the wallet, you create your itinerary and you really take in the land as rugged and wonderful as the country offers. The negatives would be damage occurring to your bike (and with that what happens next) and the swift changes in temps that can make biking and camping challenging. Camping van- When we initially started our planning we were all about renting an rv. We opted for car rental, but most of that was due to having a one year old with us and it wasn’t conducive for this time around. But there were heaps and heaps of peeps with rental campers in all shapes and sizes. Renting any type of vehicle in Iceland is not cheap. Repeat after me, “This will not be a cheap vacation, but it’s all about the experience.” If you remember that, well, that’s all you need to tell yourself because it’s true and so very worth it. Mini or large rvs provide shelter from the rain and crazy elements, but they also allow you to get off the grid and wake up to sheep scampering past or fog lifting over the field of lava rock around you. It’s epic. 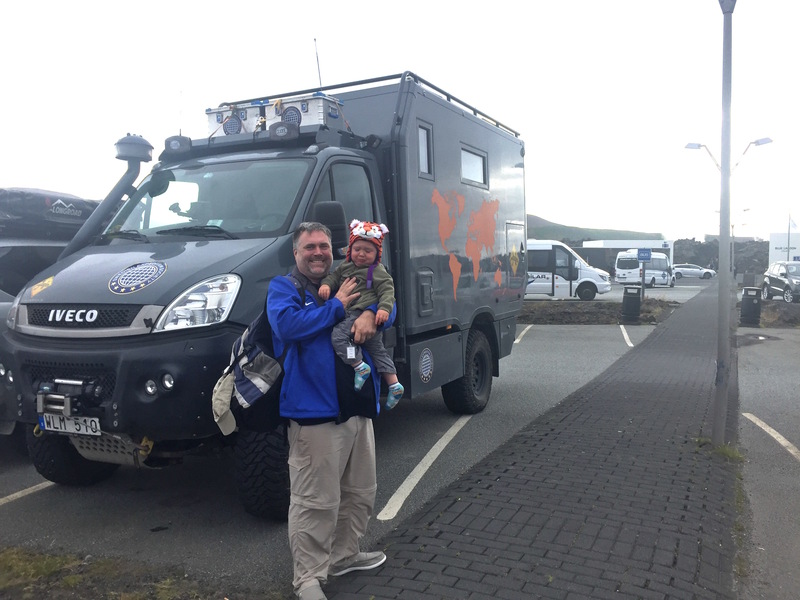 The great thing about Iceland is that you can camp/rv almost anywhere. It’s free and you whether it be on the beach, in a valley or a few meters off the side of the road you have dibs. That’s pretty much non-existent in most places you would visit. But with that be courteous, use common sense and leave your place as you found it. Vagabonding or hitch hiking and / or taking buses from point a to b. We came across a bunch of hitchhikers and back in my pre having a child days I would have been right on the side of the road holding my cardboard sign, thumb out heading to my next destination. Use common sense and go with your gut when it comes to thumbing your way around, but I’ve found you come across some great people and good conversation that makes travel a unique experience that’s free. Free rocks! Buses are reasonably priced, fairly consistent and can make the journey a little more reliable than using your thumb and is less expensive than renting a car. 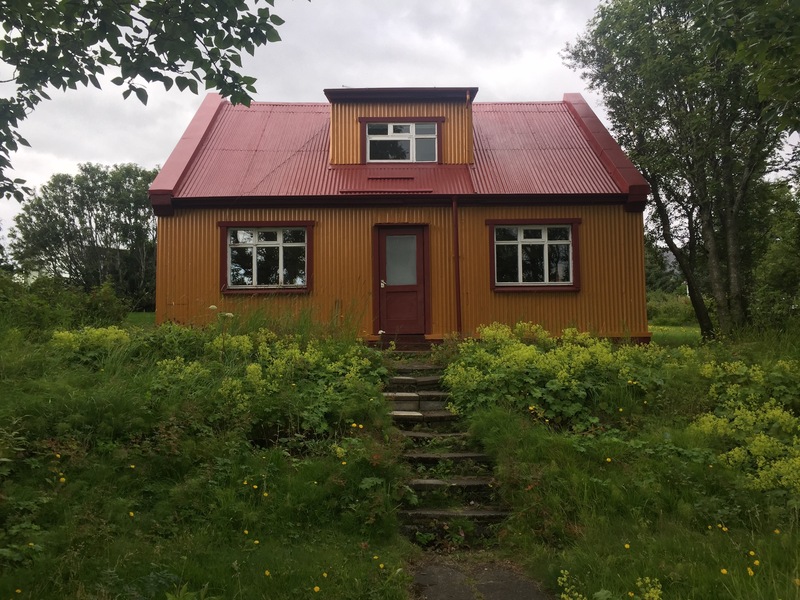 Hostels- As with any country in Europe, hostels can be located in Reykjavik to small villages across the country. Many offer excursions for an extra fee and hostel settings make it easier to link up with other backpackers and make swimming through geo thermal hot springs or frolicking on an Icelandic horse along the country side a little more memorable. Airbnb/ Vrbo – These are two great sites that al low you to rent a flat, room or home for a few nights or longer if necessary. We rented a home for the first portion of our stay in a small town that was an awesome jumping zone to hit our destinations while allowing us to not have to schlep our stuff somewhere new every night. We were able to walk into town for coffee and grocery shopping and let our son run around the front yard and have the run of the house. It lets you gain a more genuine feel to the vibe and culture of the community you’re staying in. I’m a fan! These are a few examples of accommodation and transportation ideas for your stay in Iceland. Feel free to share your own experience my way or ask questions. Hope this helps! Next, I’ll be chatting on driving through Iceland. It’s always an adventure!